Keeping up with the Cagles: HALO 3 is FINALLY here!! HALO 3 is FINALLY here!! 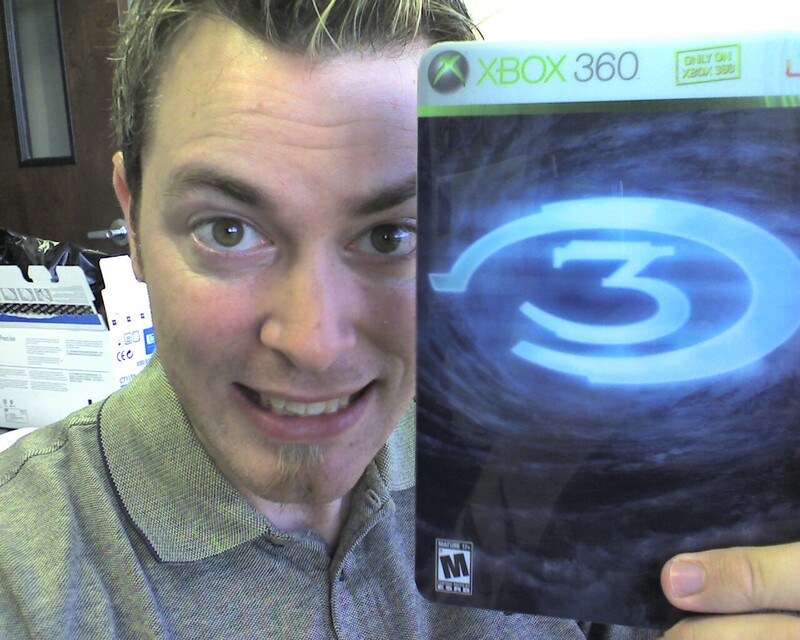 Here I am all happy because I got HALO 3 on Monday night... or was it Tuesday morning? When I opened the case both the game and bonus content disks were floating around inside and so they got all scratched due to Bungie's crappy packaging. I haven't had the chance to play it yet. Hopefully later today or tomorrow.